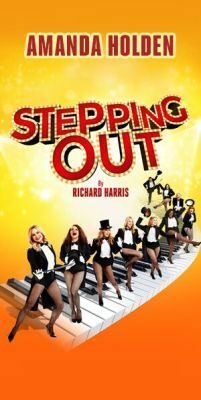 Fans of Amanda Holden welcomed her return to the London stage as she led an all star-cast in a revival of the award winning comedy Stepping Out written by Richard Harris. Stepping Out Theatre Breaks were available to book at the Vaudeville theatre and joining Holden on stage is Tracy-Ann Oberman, Nicola Stephenson, Natalie Casey and Anna-Jane Casey. The comedy is about a group of six women and one man who join an evening dance class and end up tap dancing their way into a local competition. As you would expect nothing runs smoothly and with the clash of different characters expect fireworks. The Vaudeville Theatre is just a few strides from the 3 star Strand Palace Hotel, one of Theatreland’s most favoured hotels. If four star is more your style then you can’t go far wrong with the Charing Cross turn right outside the theatre and it is on the other side of the road. Of course, if you don’t mind crossing the road then you are almost directly opposite the world-famous Savoy Hotel and just along the Strand to the left is the ultra trendy 5 star ME London hotel with its uniquely named rooms and its cool bars and restaurants. Wander towards Holborn and the 4 star Kingsway Hall on Great Queen Street is a cut above the rest and one of Theatre Breaks favourite hotels. If you don’t want to stay nearby you can catch the underground form nearby Covent Garden and Charing Cross tube stations. You can walk across the Thames where hotels, on the south side of the river, are a bit cheaper. Take a moment to enjoy the beautiful views up and down the Thames as you cross it – especially breathtaking when it’s all lit up at night!